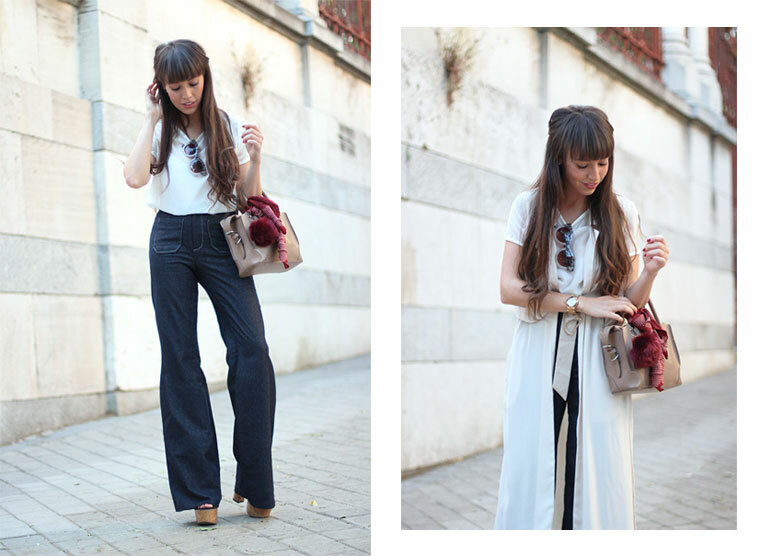 Today, again with my flared pants :), I’m back to tell you all about the COLLECTOR collection of La Redoute. Taking advantage of how much the 70’s will be trend next season, the brand wanted to reinvent their iconic clothes from that period, making a special collection.I was able to discover first-hand the collection on my trip to Paris with La Redoute. On it, you will find, as it couldn’t be other way: flared pants, buttoned; trapeze skirts, midi; high boots, retro prints… But as it’s better to see it than to tell you, in the up coming months, Iria (from the blog My blueberry nights) and I, as brand ambassadors of the brand, will be challenging several bloggers, so they will show us how to combine today, these clothing of the past. Stay tuned because I’ll be sharing their looks in my social network! 😉 Who do you think will be the first blogger to accept our challenge? I can’t wait to tell you about it! To start with the challenge, I wore my flared pants with a trench vest and platform sandals, so looked taller ;). The ones that saw me on tv at XTRA! program in NON STOP PEOPLE channel of Movistar last week, I already heard me telling you that they are one of my favorite trends for this season fall-winter 2015-16, so It’s gonna be difficult for me to not use them too much, haha. Yo, para comenzar con el desafío, he combinado mis pantalones campana con un chaleco estilo gabardina y unas sandalias con plataforma, para que alarguen la figura visualmente ;). Los que me visteis en el programa XTRA! del canal NON STOP PEOPLE de Movistar+ la semana pasada, ya me escuchasteis decir que son una de mis prendas favoritas para esta temporada Otoño/Invierno 2015-16, así que me va a ser difícil no usarlos demasiado jeje. 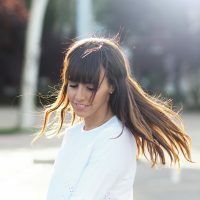 Y la primera en aceptar el Desafío Collector de La Redoute es… ¡Mi queria Fany del blog Fashion is my life, pronto os enseñaré su propuesta! 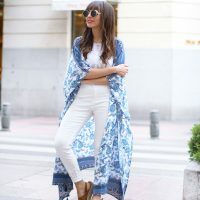 Estas increble Sara con esos jeans de campana ,son lo mas ,ademas me encanta el toque que le das al look con esa maxi blusa ,estoy encantada de aceptar tu reto ,sera todo un placer ,nos vemoss en nada ,muero de ganas . Veo este tipo de pantalones en todos lados, creo que son algo difícil de llevar pero sin duda a ti todo te queda bien eh! Love love LOVE this outfit! 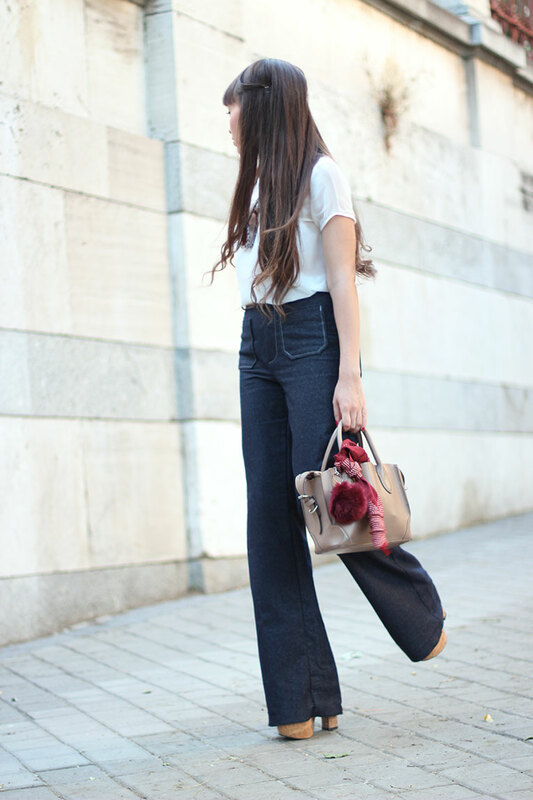 So 70s, so chic, the jeans are so nice, just wish i could pull them off as well as you do! How did you become a brand ambassador that is so cool and I love the white trench and wedges. 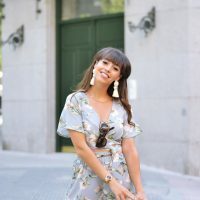 Me encanta todo el conjunto, estás guapísima! estas preciosa!! 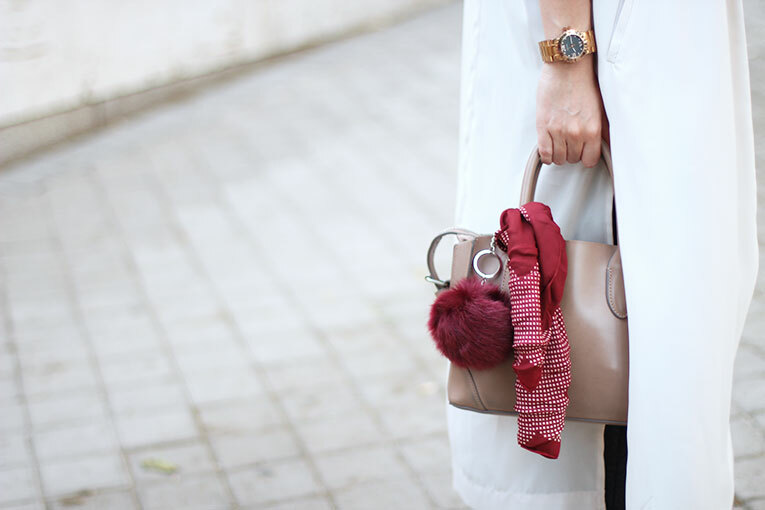 me encanta el trench! Ideales los pantalones y cómo lo has combinado! El bolso con el pompón es una monada! !